12th MAY 2018 ~ Mr. Shazreen Mohd. Shah was in town during the weekends. He was one of the few male TESL coursemates I had when studying in UPM. He was here with the family members as the wife had to attend a conference in UTM. 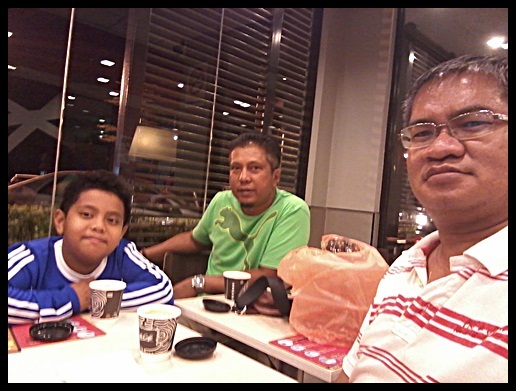 I could not fit in his schedule but we finally had our "teh tarik" rendezvous at a McD outlet near the Senai International Airport. It was just a short meeting as it was already past midnight and we hoped to get the chance to sit down and chat longer in the future.